I am very excited to announce the release of Warren Carter's John and Empire: Initial Explorations! This comprehensive and thorough volume on the interrelation of the Johannine community and the SPQR is a wonderful and novel contribution to the field. I had the opportunity to hear Professor Carter give a sneak preview of his book at SWCRS earlier this year and I was unduly impressed with his cohesive rethinking on the matter. It's certainly an impressive follow-up to his earlier book with us, Matthew and Empire: Initial Explorations. For our international readers, John and Empire will be the subject of a panel at the International Society of Biblical Literature conference in Auckland, New Zealand next month. The book will be available in the UK in July. In this book, John and Empire: Initial Explorations, I explore John's Gospel as a work of imperial negotiation in the context of Ephesus, capital of the Roman province of Asia. I do not claim John was written in or necessarily for Ephesian Jesus-believers, but, if the traditions linking the Gospel and the city have any historical veracity, the Gospel was at least read/heard there. Hence I investigate likely interactions or intertextualities - as Julia Kristeva identifies them - between the Gospel and the imperial realities that pervaded the city. This approach to John is a significant departure from the two standard approaches that dominate much contemporary discussion of the Gospel. Conventionally the Gospel is understood either in very individualistic and spiritualized terms for contemporary believers in Jesus, or is understood as a product of a bitter sectarian dispute with and separation from a synagogue community in the 80s-90s of the first century CE. I argue that both approaches are severely flawed, the first ignoring communal and material dimensions of the gospel, the second using a model that is difficult to sustain, particularly in its positing of a synagogue community as isolated from its larger societal context. Some Discussion about "Transformation Theology"
Since Ben Myers and Andy Goodliff have posted reviews of Transformation Theology by Oliver Davies, Clemens Sedmak and Paul Janz, there has been quite a bit of discussion going on. Oliver has written a substantial response to some of the issues raised which triggered a good list of comments. You might be interested to hear that "Transformation Theology" is going to be followed by a new book by Paul Janz: The Command of Grace. Paul will take some of the ideas of "Transformation Theology" further. The Command of Grace sets forth a bold new critical initiative in theological apologetics which advocates a fundamental reassessment of theological self-understanding and method today, especially in its attentiveness to the present reality of God in revelation. It is predicated on what, through a sustained and penetrating critique of our philosophical and theological history, the book shows to be a still profoundly pervasive analytical ‘spirit of idealism’, under whose influences theology has in a wide array of ways come to exercise itself predominantly within a kind of cognitivist mono-vision. Theology has thereby not only become self-guaranteeing within itself (‘tauto-theological’), thus forfeiting its rationally rigorous edge, but has also inadvertently violated its indispensable incarnational (embodied) ground. Against this, the book seeks, through a rigorously critical attentiveness to rational integrity, to revive for fundamental theological questioning two basic modes of human awareness, which under the aforementioned influences have become largely lost to theology over the past two centuries, even though they continue to thrive in the life of faith in the church itself. These are: (a) causal attentiveness encountered through the faculties of bodily sensibility; and (b) appetitive or motive attentiveness encountered in the faculty of desire. If God in his very ‘Godness’ meets us in revelation at the very center of created life, and reveals himself only here as the hope of the life to come, then theology must again seek to be attentive to God in the full contingency of embodied-rational life in all of its constitutive faculties: sensible, cognitive and appetitive. Publication is planned for spring 2009. Vol 21 §57-59 The Subject-Matter and Problems of the Doctrine of Reconciliation. Two new LHBOTS on Psalms released! Ah, it's a beautiful day in New York City so let's celebrate by announcing some more LHBOTS! We have now released Amy Cottrill's Language, Power, and Identity in the Lament Psalms of the Individual, Vol. 493 in both the UK and US. This work explores the rhetorical identity of the “I” in the lament psalms of the individual, with a particular focus on how the psalmist negotiates moral agency and constructs identity within the cultural, theological, and ideological assumptions and relational structures embedded in the language of the laments. The work approaches the identity of the psalmist in a new way, not as a form-critical question, but as a rhetorical question. The assumption is that language affords identity. Readers will become better at identifying the specific rhetorical world of the laments of the individual. The work assists readers by identifying the particular rhetorical elements of the laments and the relational structures that shape the psalmist’s discursive identity. Cottrill draws from cross-disciplinary resources (cultural anthropology, violence studies, social-scientific criticism, and literary criticism) in order to interpret and understand the particularity of the psalmist’s language in new ways. The over-arching theoretical framework is that of the figured world, a culturally constructed location of interpretation, which provides a way of entering and exploring the language used by the psalmist to represent his pain to himself and others, and the assumptions about relationship, selfhood, and restoration embedded in these prayers. Robert L. Foster and David M. Howard have edited My Words Are Lovely: Studies in the Rhetoric of the Psalms, Vol. 467. This collection of essays advances psalms studies through a concerted focus on the persuasive aim of psalmic poetry, and it offers unique perspectives on rhetorical devices within the psalms. These essays include discussions not only of structure, literary devices, and rhetorical strategies, but the authors also dialogue with classical rhetoric, modern psalms research, and current trends in rhetoric and cognitive science. This volume is available in both the US and UK. Here in the States, we've always had in our history a convoluted relationship between religion and politics. However, in recent years, matters of Church and State have become a touchstone of and for national politics and culture. 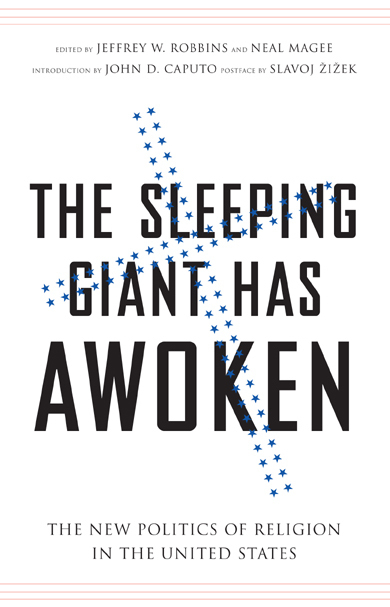 Jeffrey W. Robbins, Assistant Professor of Religion and American Studies at Lebanon Valley College, and Neal Magee, Visiting Professor of Philosophy at Le Moyne College, have edited a collection of essays addressing this issue in The Sleeping Giant Has Awoken: The New Politics of Religion in the United States now available in the US and to be released next month in the UK. The essays are bookended with an introduction written by John D. Caputo called "A Taste For Theory" and a Postface by Slavoj Žižek entitled "Better Dead than Red - Again!" Caputo and Žižek in the same volume?! How can you go wrong? Robbins, a contributing blogger for Huffington Post, has recently written about our waking giant and what that means for this presidential election. He writes "We are now witnessing not only an emergent progressive movement within evangelical Christianity (led by the likes of Sojourners director Jim Wallis, emergent church leaders Brian McLaren, Tony Campolo and others), but more generally, a new politics of religion within the United States. With the success of the John McCain in securing the Republican nomination, it is clear that the evangelical Right no longer has a stranglehold on the Republican party." The triumph of American political conservatism in the last two decades has been paralleled by the ascendance of Christian evangelicalism. More importantly, the political campaigns of 2000 and 2004 marked a convergence between these two political entities with an effectiveness never before seen in national elections. This cultural shift turns on a mutual embrace. On the one side, conservatives have successfully set the terms of debate around so-called "family values" and the status of religion in the public sphere. On the other side, evangelicals have mobilized in a new self-awareness of their formidable political power and now demand representation at all levels of government. What are the religious seeds of this convergence? Upon what fundamental ideas does it rest? What potential dangers does it present for the concepts of "religion," "politics" and " America"? How secure is this alliance, and what does each side sacrifice in order to sustain it? Must all religion in America now become similarly engaged in the political sphere? This volume is a collection of articles by a group of young scholars addressing the nexus between political conservatism, evangelical Christianity, and American consumerist culture. Drawing widely upon examples from contemporary culture, these articles are a critical engage ment with this turn and attempt to delineate its dynamics, trajectory, and content. It's a book that will only become more relevant and timely as we swiftly approach the November election - and beyond! New LHBOTS: Stott's "Why Did They Write This Way?" Now available on both sides of the Atlantic (and, therefore, the entire planet) is Katherine Stott's LHBOTS Why Did They Write This Way? : Reflections on References to Written Documents in the Hebrew Bible and Ancient Literature, Vol. 492. We asked her to write a little bit about her new book and she graciously accepted our request and has contributed to our little Author's Circle. Thanks! Specific attention is given, in the first part of the book, to the many literary citations in the Hebrew Bible texts. One important insight gained from a comparative survey is that the historical books of the HB stand virtually alone among historiography in the wider ancient Near East when it comes to the explicit citation of sources. In this regard, the HB is much more akin to literary trends in the classical world, where historians/authors more commonly cited authorities for their accounts. Important differences, however, are also apparent between the HB and classical historiography/literature. While classical authors, especially the early Greek historians, relied predominantly on oral sources, the HB is characterized by its appeals to written tradition. 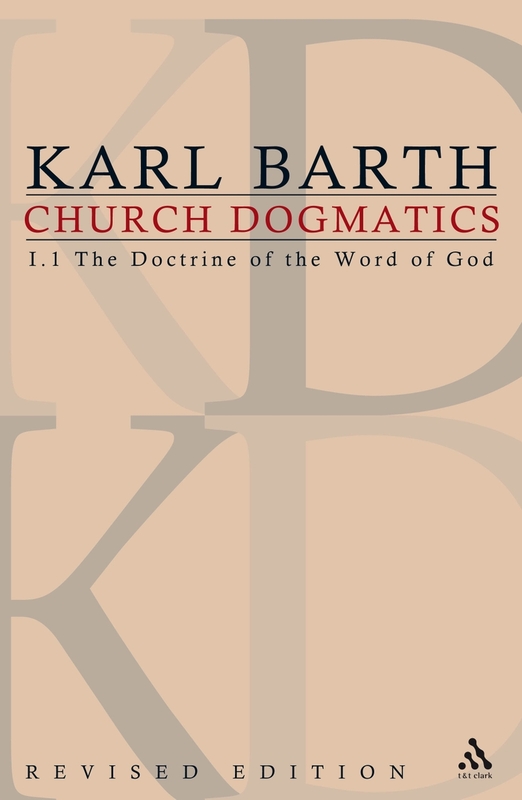 We are happy to announce the publication of the revised edtion of Karl Barth's Church Dogmatics. The newly revised and digitized edition is the result of a close co-operation between Princeton Theological Seminary and T&T Clark Publishers. The Church Dogmatics is arguably the greatest theological work of the twentieth century. This exciting development will make it possible for the first time to query and search the nearly 8,000 pages of the Church Dogmatics and will result in the publication of a new 31 volume paperback edition by T&T Clark in 2008. "Students, scholars, and pastors will welcome the arrival of a digital version of the Church Dogmatics," says Clifford Anderson, curator of special collections and member of the advisory committee for the Center for Barth Studies at Princeton Seminary. "It has been our longtime goal to bring Karl Barth's masterpiece into the digital age." The Swiss-German theologian Karl Barth (1886-1968) was the most original and significant Reformed theologian of the twentieth century. He was one of the central figures in the Confessing Church in Germany, which opposed the Nazi Regime. Barth began the Church Dogmatics in 1932 and continued working on its thirteen volumes until the end of his life. Barth's writings continue to guide and instruct the preaching and teaching of pastors and academics worldwide. Princeton Seminary produced the digitized text of the Church Dogmatics with the assistance of a generous grant from the Lilly Endowment, Inc. Care was taken to ensure that the digital text allow scholars to perform searches not only on individual words and phrases, but also on biblical texts and citations. English translations of Barth's Greek and Latin phrases, left untranslated in the old print edition, have now been incorporated into the text and are presented alongside the original, relieving students of the need to read the text with dictionaries at hand. 1. A fully searchable CD-ROM version from Logos Bible Software, available from April 2008. 2. As part of the Digital Karl Barth Library in German and English from Alexander Street Press. 3. A new paperback print edition in 31 volumes, presenting the text in a new layout, incorporating the translations of Greek and Latin texts in a student-friendly format, available from December 2008 through T&T Clark at an introductory price of $750/£449 (also available as ebook). We have received the first copies of Adam Kotsko's Zizek and Theology - and they look absolutely brilliant! Thanks to our designer, Louise, who did an excellent job on creating the series design! Adam's book will be in available in the UK from now and in about two months in the US. Keep looking out for it. 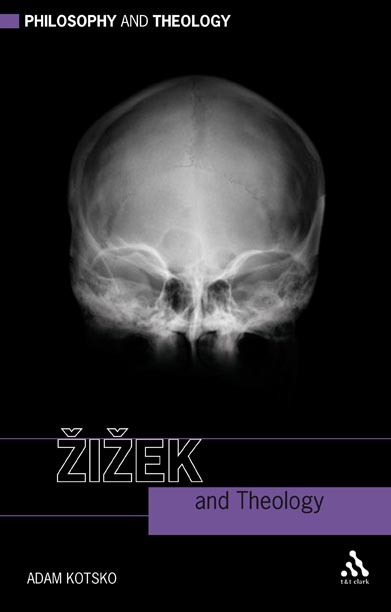 "Zizek and Theology" is the first book in our new "Philosophy and Theology" series and will soon be followed by Craig Hovey's Nietzsche and Theology (August 2008). Other titles in the series in 2009 will be on Girard, Derrida, Wittgenstein, Hegel, Heidegger and Badiou. In June we will publish Jonathan Knight's ambitious new book, Christian Origins, in which he introduces the beginning student to the story of the emergence of Christianity. We hope, too, that the book will also resonate with a wider audience outside academia. 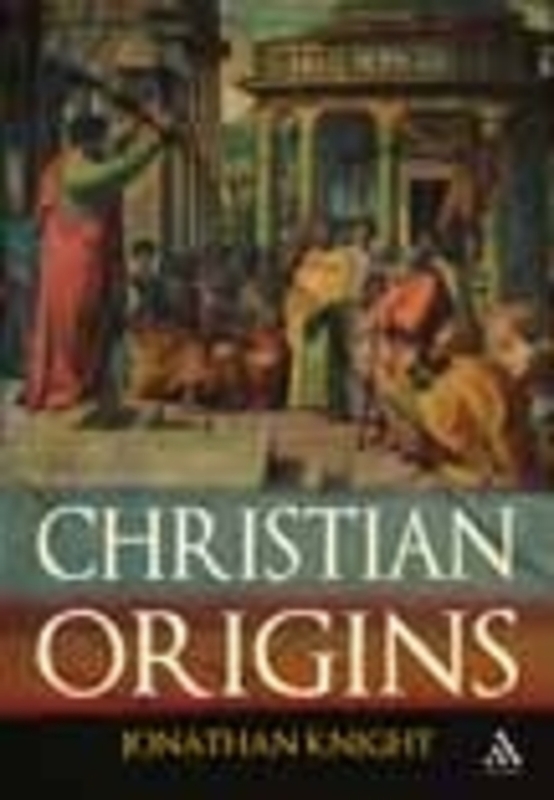 'This wide-ranging study of Christian origins offers a helpful introduction to the New Testament. Readers will find in this book the fruits of wide reading and a perspective on Christian origins which sets it in its wider religous context and seeks to tease out the particular characteristics which gave the religion its distinctive shape.' - Christopher Rowland, Dean Ireland Professor of the Exegesis Scripture, University of Oxford, UK. Jonathan Knight is Visiting Fellow in New Testament and Christian Ministry at York St John University, UK, and is Research Fellow of the Katie Wheeler Trust. Christian Origins will publish in the US in August.